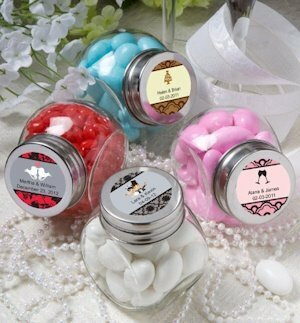 Your guests will love our retro glass mini jar favors! Make this one-of-a-kind favor uniquely you by choosing from a variety of great designs and colors along with 2 lines of custom text. 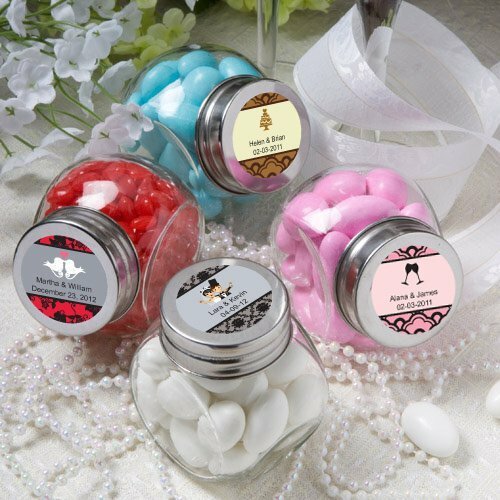 Each reusable glass jar measures 2 3/4" x 1 3/4" complete with a metal screw on lid.